Under decades of communist rule, Cuba lagged far behind much of the world in technology and digital connectivity. In 2014, less than 30 percent of Cubans had Internet access. Yet in recent years, Cuba has made significant strides — more public Wi-Fi hotspots are being deployed, and the U.S. and Cuban governments are normalizing relations. What does Cuba’s digital future look like? What does this mean for Cuban-Americans and tech entrepreneurs? 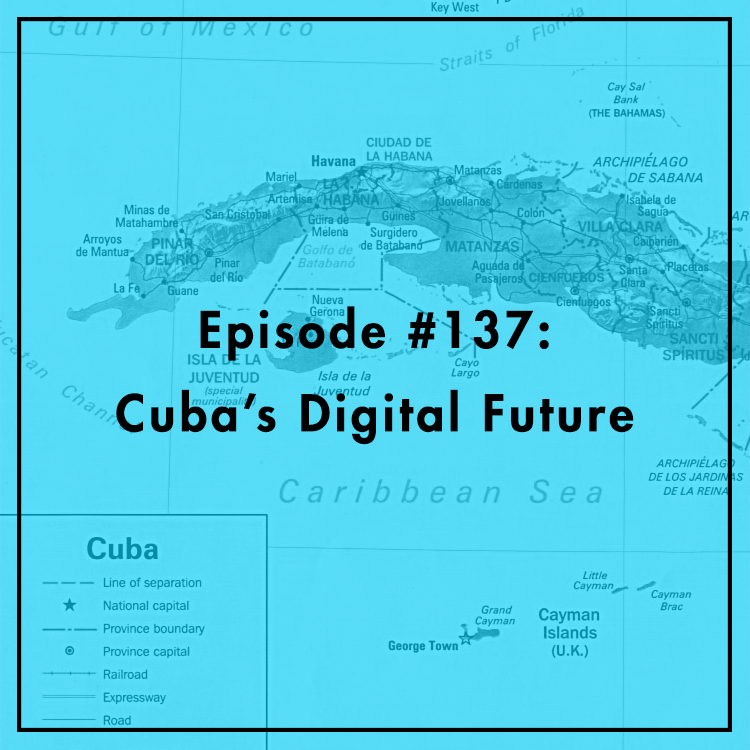 Evan is joined by Adelina Bryant and Michael Maisel from the Engage Cuba coalition and Lydia Beyoud, senior tech and telecom reporter for Bloomberg BNA. For more, see www.engagecuba.org.